We are delighted to confirm that Senior Board Director, Susan Hooper, will be a keynote speaker at the 2019 IR Society Annual Conference. We are delighted to confirm that Senior Board Director, Susan Hooper, will be a keynote speaker at the 2019 IR Society Annual Conference. Susan sits on the Boards of Uber UK, the Department for Exiting the European Union (DExEU), The Rank Group plc, Affinity Water Ltd. and Wizz Air plc. Prior to this, Susan was Managing Director of British Gas Residential Services, a £1.8bn revenue division, leading the Service and Repair, Central Heating Installations, Electrical Services, and Dyno-Rod business units. 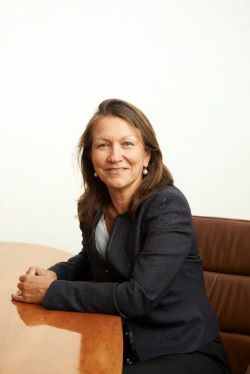 Susan joined British Gas from the Acromas Group where she was Chief Executive of the Travel Division, responsible for Saga Holidays, Hotels, Cruises, the AA Travel division and Titan Travel. Previously, she held senior roles at Royal Caribbean International, Avis Europe, PepsiCo International, McKinsey & Co, and Saatchi & Saatchi living in over 7 countries worldwide. She was chair of LuxuryBARED and has held several non-executive directorships, including Courtaulds, Royal & Sun Alliance, Transcom, First Choice, S.C Johnson, Whitbread. Susan was also a member of the advisory Board of the LUISS Business School in Rome. Susan has a BA from the Johns Hopkins University and an MA from the Johns Hopkins School of Advanced International Studies (S.A.I.S.) in Washington DC. She is fluent in German and Italian. Susan lives in London with her husband and two sons and loves being in the outdoors, enjoys mixing sailing, travel and photography, and has realized a passion in designing jewellery.